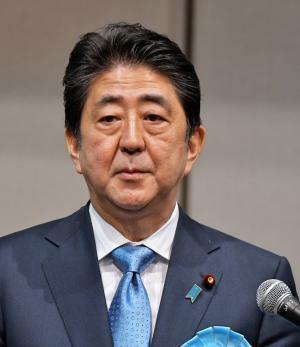 Sept. 26 (UPI) — Japanese Prime Minister Shinzo Abe’s call for a snap election on Oct. 22 is not being viewed positively in or near Hokkaido, where residents have been worried about firings of North Korea ballistic missiles over the island. Residents of the region slammed Abe, calling the snap election another one of Abe’s “political tricks,” Mainichi Shimbun reported Tuesday. “When we don’t know when North Korea’s next missile will fly again, to call for an election at this time is strange,” the man said. On Monday, Abe had announced plans to dissolve the lower house of Japan’s parliament and called for a snap election. The prime minister also said he would seek a consensus on increasing the consumption tax, an unpopular move, following the election, The Japan Times reported. A 74-year-old woman in the city of Takikawa, Hokkaido, also voiced similar concerns regarding the election. Two North Korea missiles flew over Hokkaido in recent weeks: an intermediate-range projectile, the Hwasong-12, on Aug. 29, and a second missile on Sept. 15. Abe is enjoying a surge in approval ratings, following North Korea’s missile provocations and sixth nuclear test. The prime minister may be consolidating his position as polls indicate at least 50 percent of voters support the prime minister despite recent political scandals.